There are few things in life that are more frustrating than an inaccurate bathroom scale. When you weigh yourself in the morning, you don’t want to have to spend the rest of your day worrying if the number on the scale was actually lower or higher than what you actually weigh. Monitoring your weight is stressful enough without wondering about whether or not your scale is really accurate. It can be extremely discouraging to find out your real weight is different than what a faulty scale in your bathroom has been telling you. If there’s one thing you should be able to trust, it’s your bathroom scale. Knowing your real weight is extremely important for many people, especially when they are striving toward certain health or fitness goals. 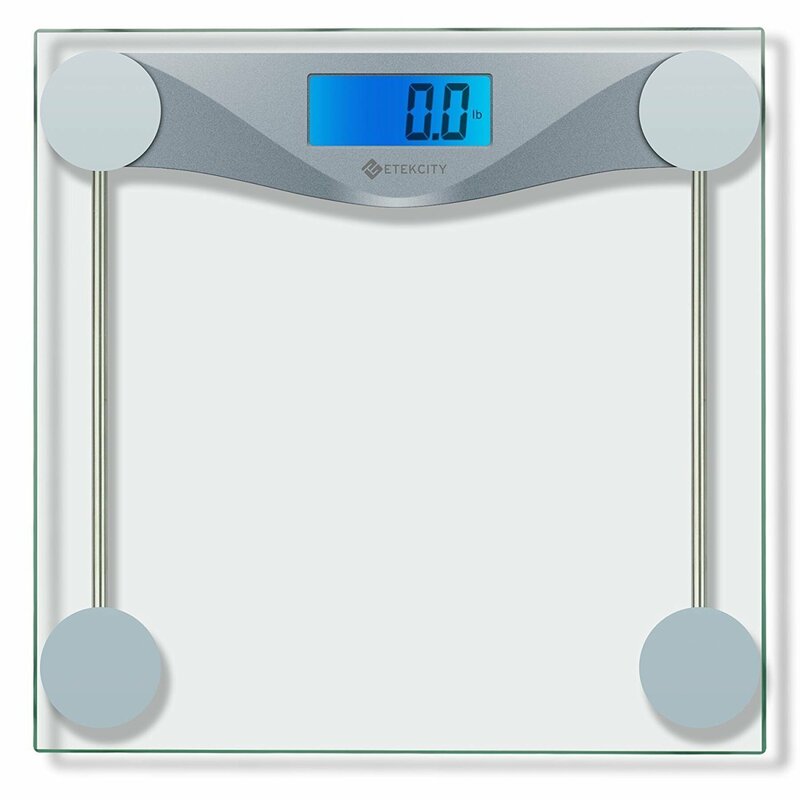 The six bathroom scales in this post are high-quality, durable, and accurate down to the ounce. They keep you updated on your exact weight every time you step on to help you keep track of weight loss progress or monitor your weight stability without second-guessing yourself or your scale. You don’t have to worry about calibrating this scale. Its auto-calibration features allows it to calibrate itself precisely, so all you have to do is step on the scale and look at the number on the screen. There’s no need to wait patiently for the number to appear. It shows up immediately after you step on the scale and is easy to read in any lighting on a large, backlit LCD screen. 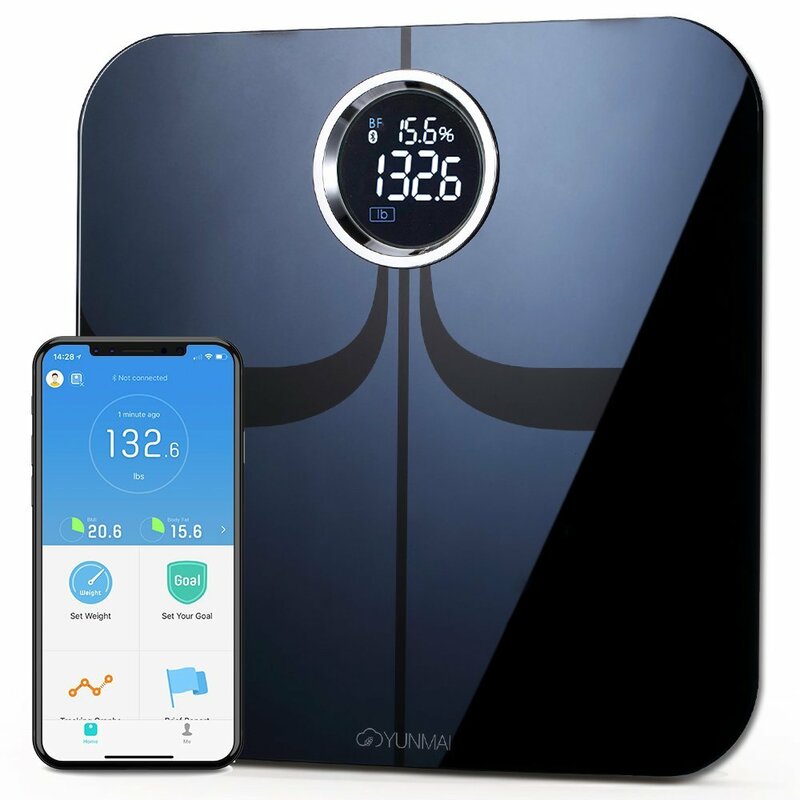 Four high-precision sensors designed with the best modern technology from Germany guarantee that the number the scale displays will be within 0.2 pounds or less of your true weight every single time, so you can track your fitness progress closely. Anti-skid pads and thick tempered glass make sure that this scale safely supports weight up to 400 pounds while remaining stable even on hard, slick surfaces. Batteries are included, so you can start weighing immediately after purchase. Your weight is just the beginning with this bathroom scale. 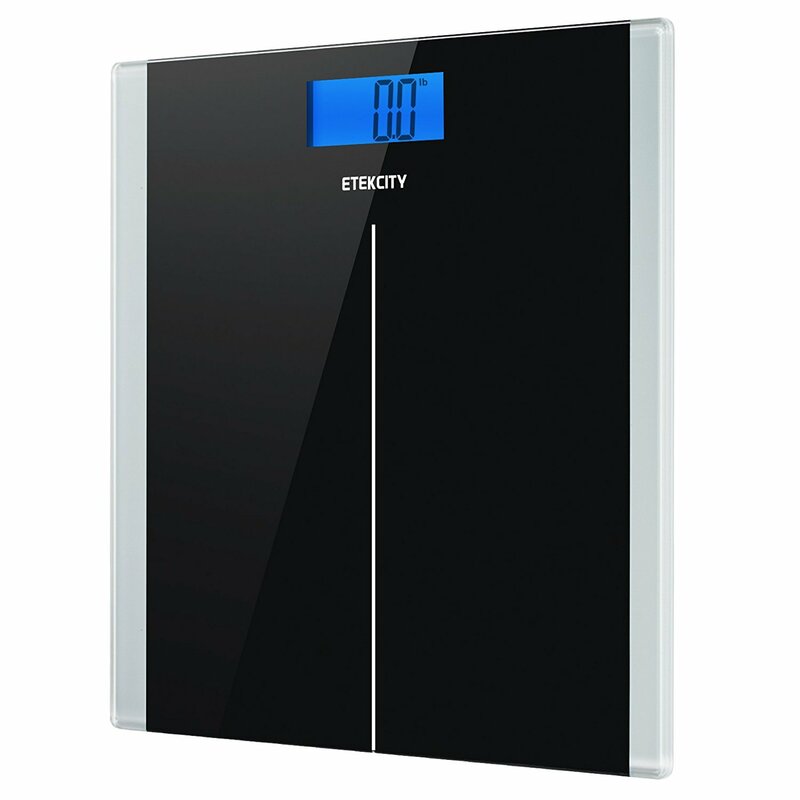 The fitness-oriented bathroom scale is capable of eleven different measurements, including: body weight, BMI, water percentage, body fat percentage, fat-free body weight, bone mass, muscle mass, protein, body age, basal metabolism, and skeletal muscle. High-precision sensors and four sensitive electrodes make all of these measurements with extreme accuracy. 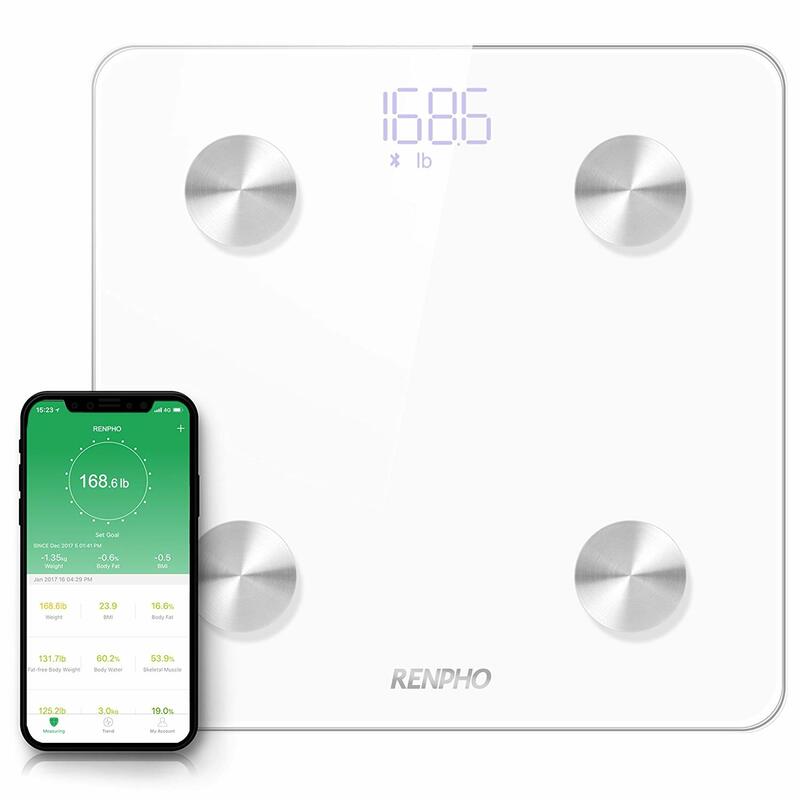 The data that this scale tracks automatically downloads to a linked RENPHO app on your smartphone or other smart device. You can keep close track of your fitness progress by monitoring all eleven measurements the scale makes no matter where you are. Plus, the RENPHO app syncs with many other popular fitness apps–including Apple Health, Google Fit, and Fitbit–to borrow and share your data from these apps as well to help you keep an even closer eye on your progress. Weighing yourself is a fast and simple task with this minimalist bathroom scale. It automatically calibrates itself to immediately display your weight as soon as you step on it. It safely supports up to 400 pounds and can accurately measure any object that weighs between 11 and 400 pounds with a slim error range of just 0.2 pounds. This scale won’t be an eyesore in your bathroom. Its minimalist design blends in effortlessly to any room without clashing with its color scheme and decor. It is sleek, thin, and unobtrusive, so it fits easily wherever you have a very small amount of space. Plus, it features non-slip grip pads on the bottom, so it will stay in place wherever you put it. A clear, backlit LCD screen at the top of the scale shows large numbers that are very easy to read in a light or dark room. It shows only the numbers you need to see, so there is no room to get confused when reading this scale. This bathroom scale weighs you quickly and accurately. Its readings are always within 0.2 pounds of your true weight. You can see your weight as a clear number on an easy-to-read LCD screen as soon as you step on the scale, thanks to its auto-calibration and ultra-quick measurement capabilities. A low-battery indicator tells you when it’s time to change the batteries before low power reduces the accuracy of the scale’s readings. The batteries last a long time, though, especially because of the scale’s auto on-off feature. If you weigh within the range of 11 to 400 pounds, you never need to worry about confidently stepping onto this scale. It is built to last and ultra-durable, with an 8 mm thick tempered glass platform that won’t sag or break. Its four stability suspension pads add more resilience and prevent the scale from slipping and sliding on hard, smooth surfaces. If you do accidentally put too much weight on the scale, its built-in overload indicator lets you know that it’s not safe to measure that amount of weight at one time. You don’t have to tap this scale to calibrate it before weighing yourself. Just step on to get an instant reading. The scale’s readings are accurate with an error range of only 0.2 pounds thanks to its four high-precision sensors. 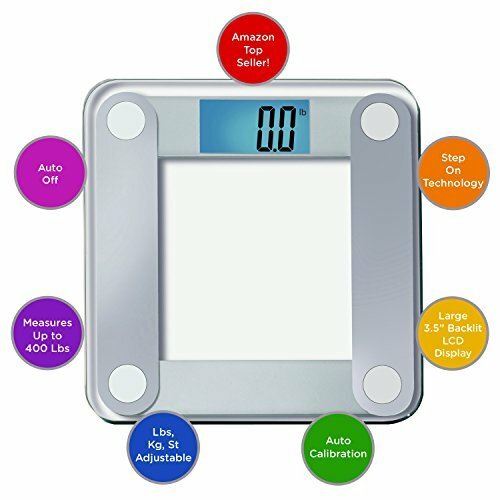 Your weight shows up immediately as a number on the scale’s large, backlit LCD display screen that is super easy to read. The scale is made from 8 mm thick tempered glass that supports up to 400 pounds. Its non-slip platform prevents it from sliding out of place on hard, smooth surfaces. It is super easy to use and blends into any room with its modern, minimalist design. 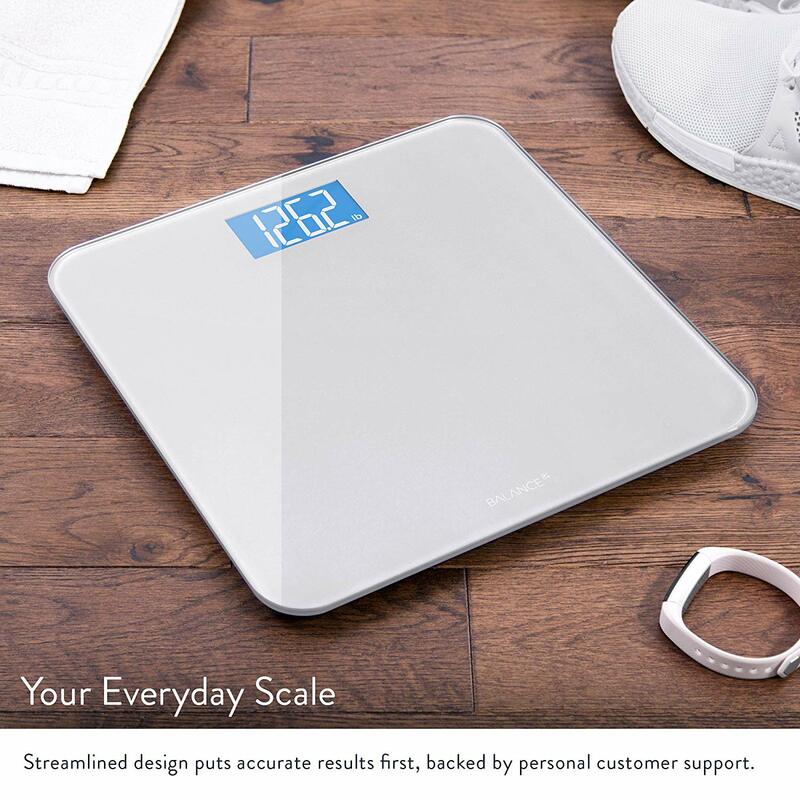 Follow your fitness progress in ten different ways with this bathroom scale that tracks ten different body measurements, including: body weight, body fat, BMI, bone mass, hydration, muscle rate, visceral fat, BMR, protein, and body age. The scale’s full-surface sensor tracks all of these measurements through its connected Yunmai app where you can access it anytime, anywhere. Get all of your fitness data in one place by syncing the Yunmai app to the other fitness apps you use. It is compatible with popular apps like Apple Health and FitBit. The simple, streamlined design of this scale helps it blend into its surroundings no matter where you put it. It is very unobtrusive, with a concealed easy-to-read LCD display, ITO coating, and a sleek glass surface. Its maximum weight capacity is approximately 400 pounds. When you step on your bathroom scale, whether or not it’s lying to you shouldn’t be a thought that has to cross your mind. 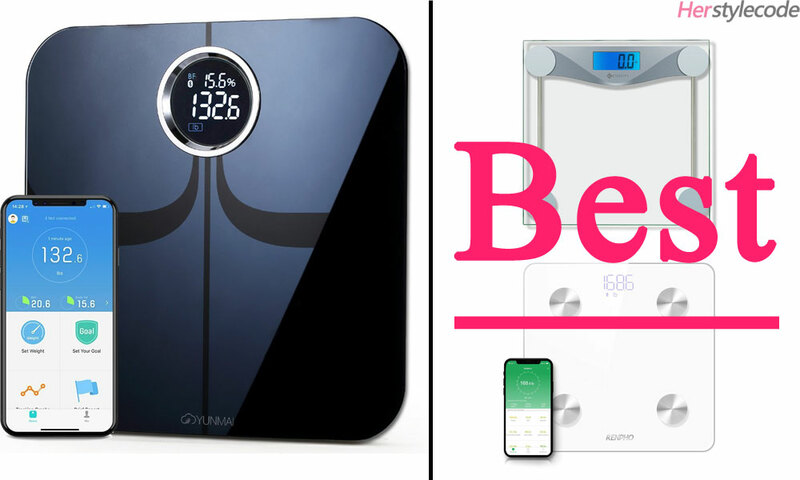 Start trusting your scale instead of doubting it; check out these six bathroom scales that promise to always tell you the truth.